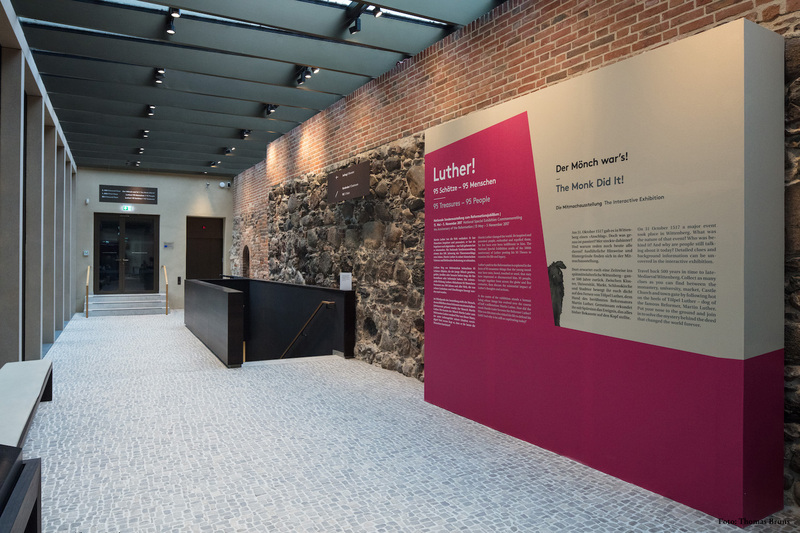 Luther put up his 95 theses in Wittenberg 500 years ago. 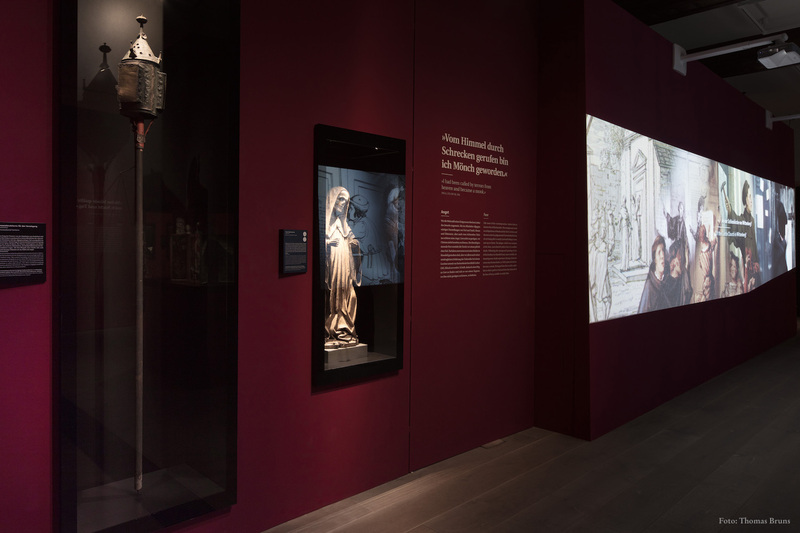 On the occasion of this year’s Reformationsjubiläum (Anniversairy of Reformation) a special exhibition has been envisioned to take place in nationwide settings. 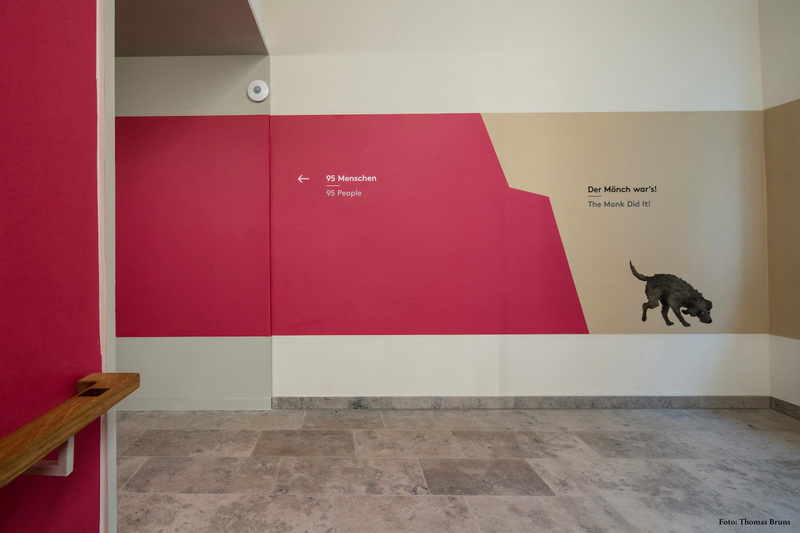 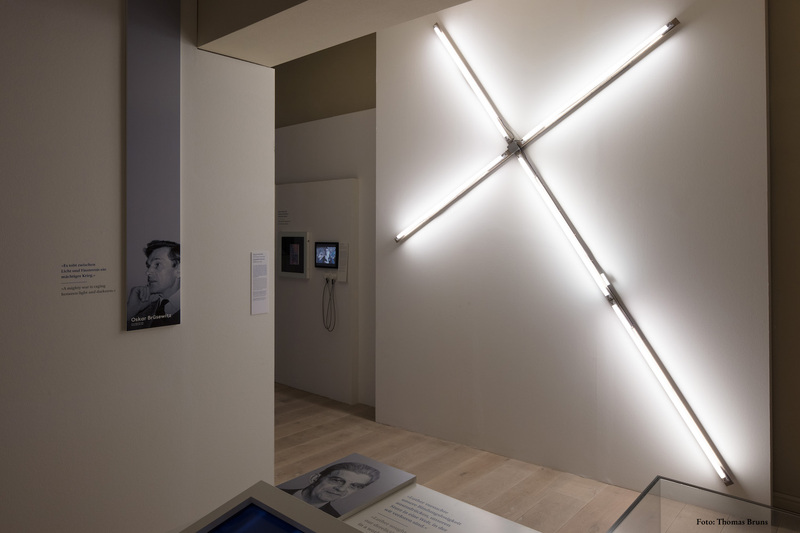 “Studio Neue Museen”- our partnership with Complizen Plangsbüro urban development office created the exhibition at the order of Sachsen Anhalt’s Luther memorial foundation. 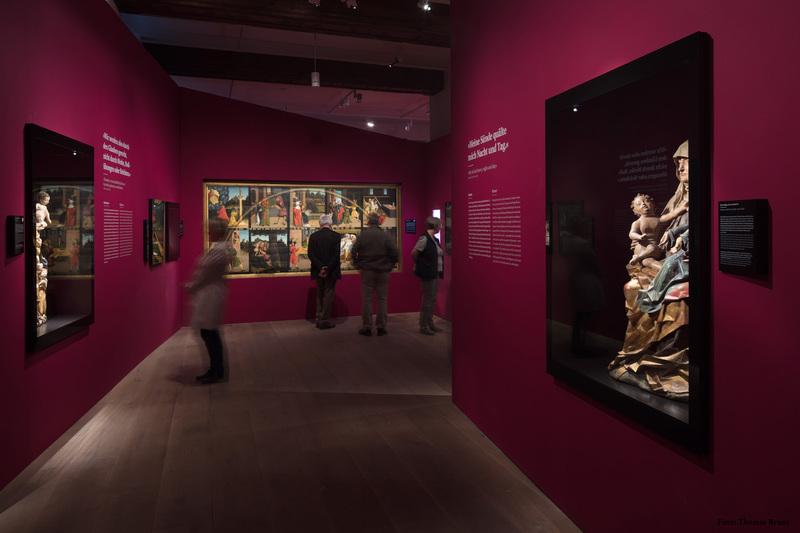 Dr. Catherine Nichols was in charge of curation. 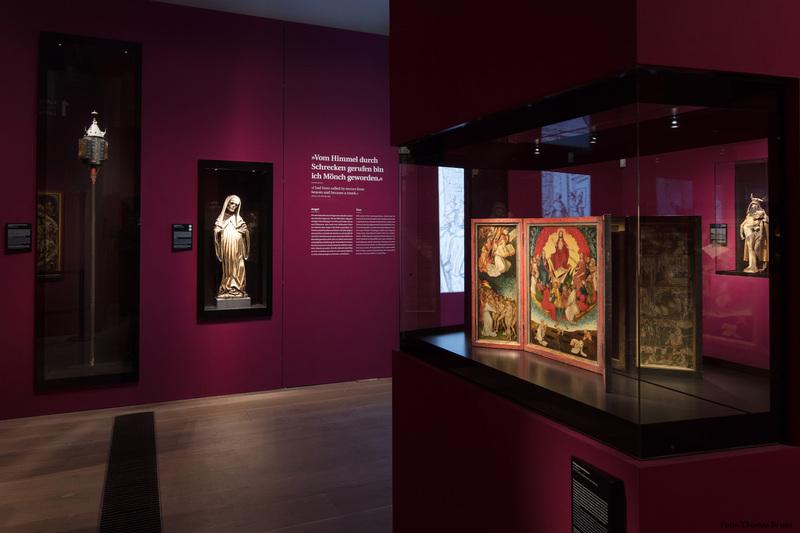 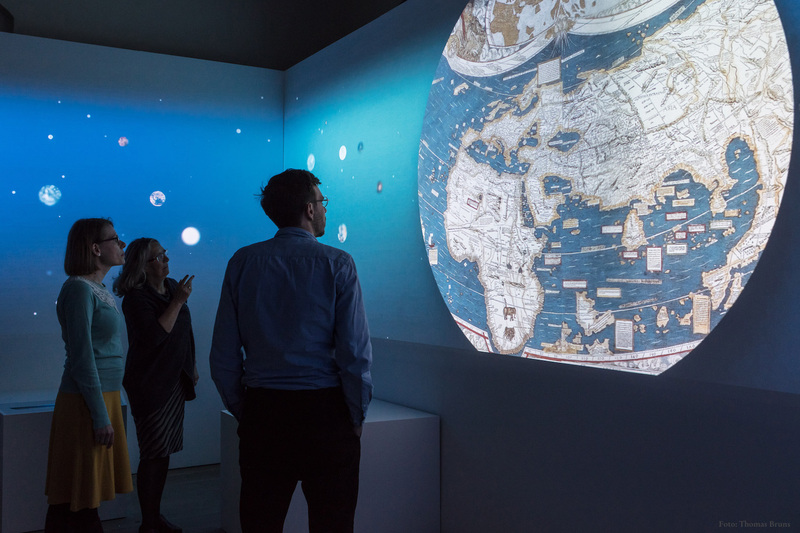 On 1.200 square metres the exhition impressively illustrates the mighty 500 year scope Luther’s work unfolded in, while also shedding light on drawbacks of his doings and effects. 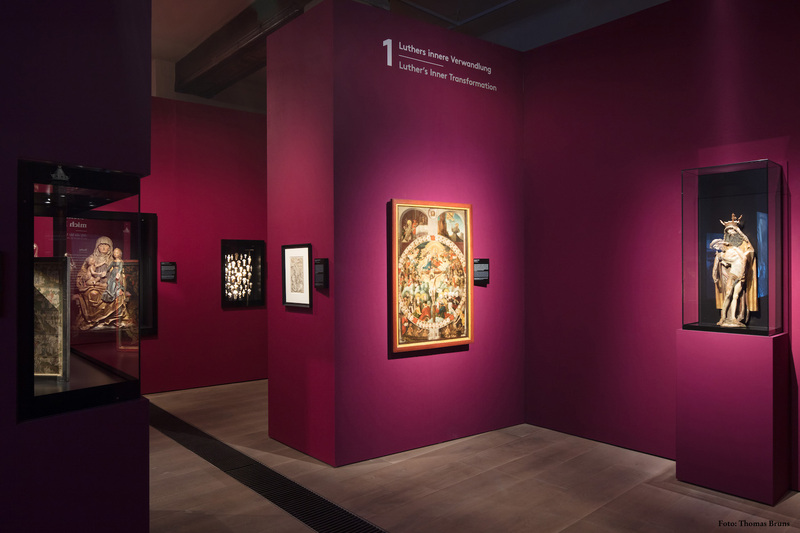 95 Treasures – the first part of the exhibition – displays 95 extraordinary exhibits from Luther’s environment. 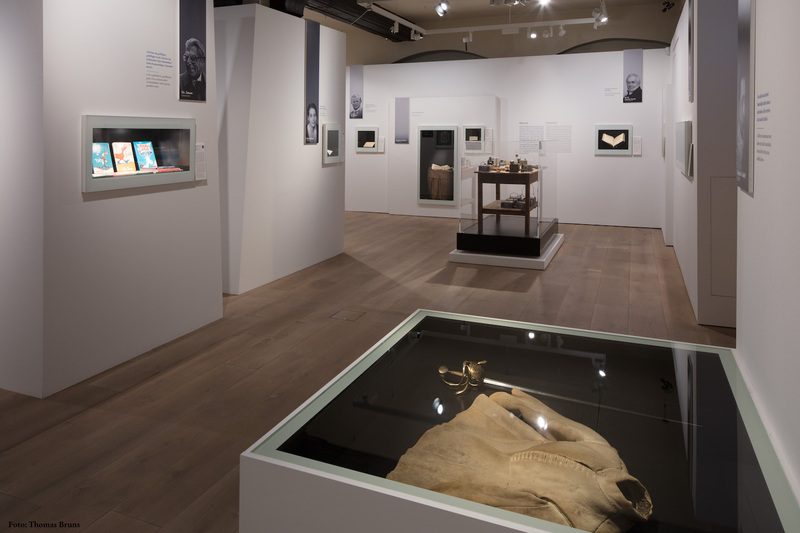 Some of the authentic objects from reformation times are a lime wood relief of Holy Georg from Luther’s local Mansfeld church and a portable writing box, that accompanied Luther on his travels. 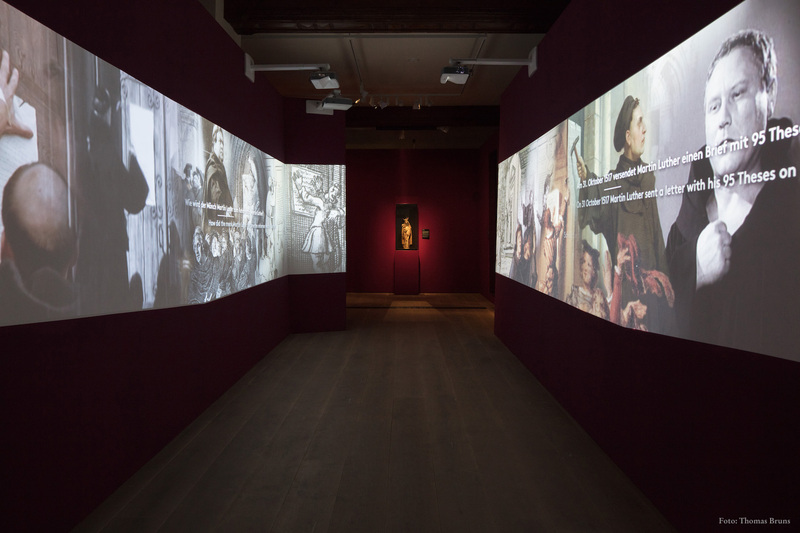 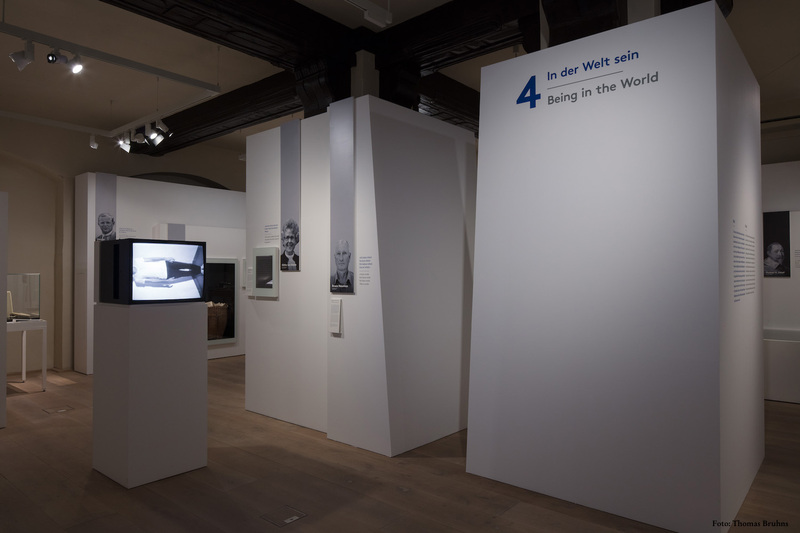 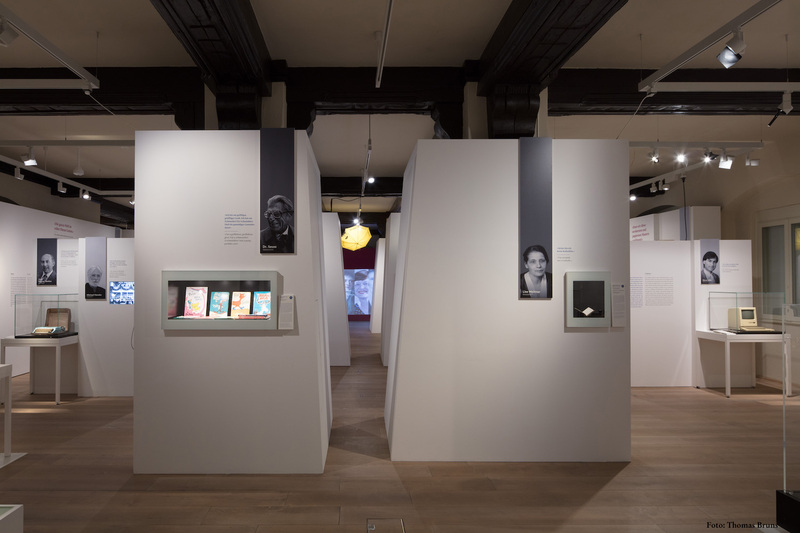 95 people – the second part of the exhibition – shows the reformer’s influence on 95 personalities by portraying people that have referenced Martin Luther regardless of their religions or worldviews. 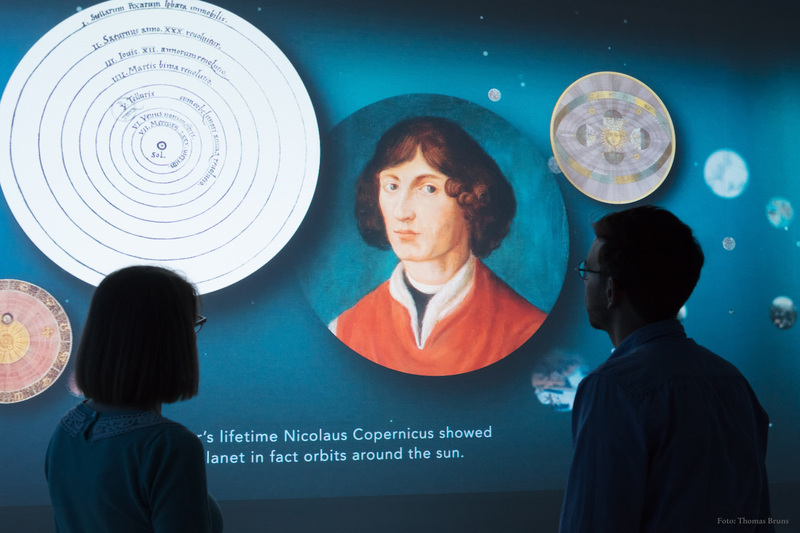 People like Martin Luther King, Astrid Lindgren, Sophie Scholl, Pier Paolo Pasolini or Steve Jobs, have been inspired, provoked, moved or repelled by Luther’s works from the 16th century until present day.